This deal expired 1 day ago . Expired 1d ago . Last validated 2mo ago . Used 5 times. feliannis mavarez I am re-activating that this deal works as described. Just type the promo code into the promotion code box and click apply to enjoy the promotion. Some exclusions may apply. Walter Wolf This coupon is valid and working as described. 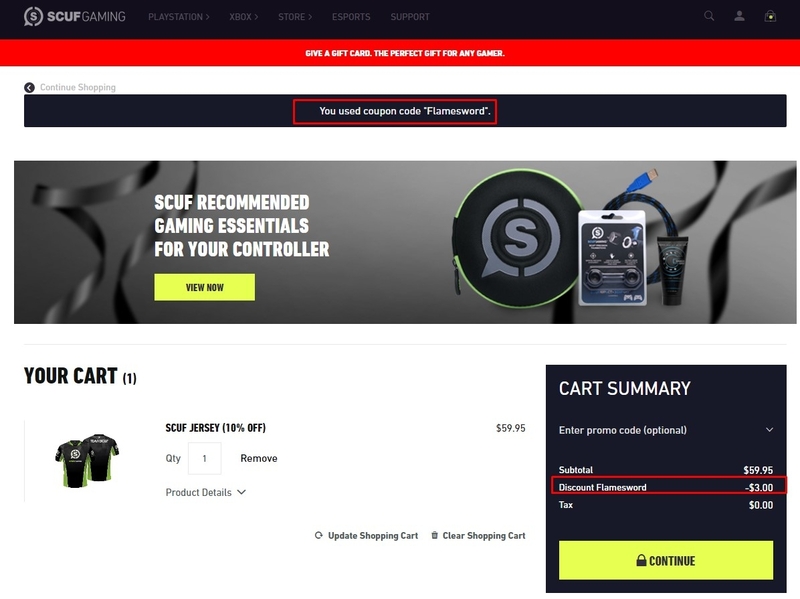 Select your product, go to the shopping cart, enter the promotional code and Get 5% Off Your Order at Scuf Gaming. Mariangel Gomez I'm validating that this deals works as described. 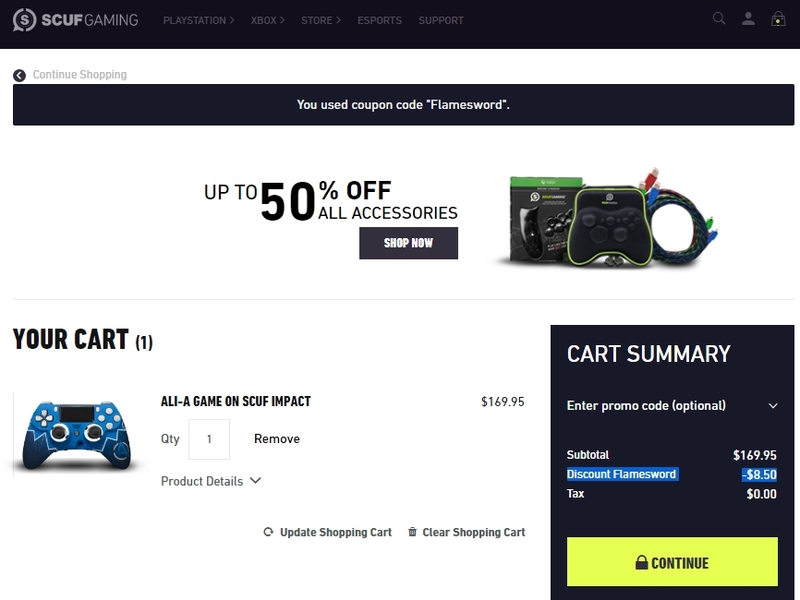 Go to Scuf Gaming, add the item to your shopping cart. Enter promo code and save 5% discount site-wide. Sonia Ramirez Get 5% off your order. 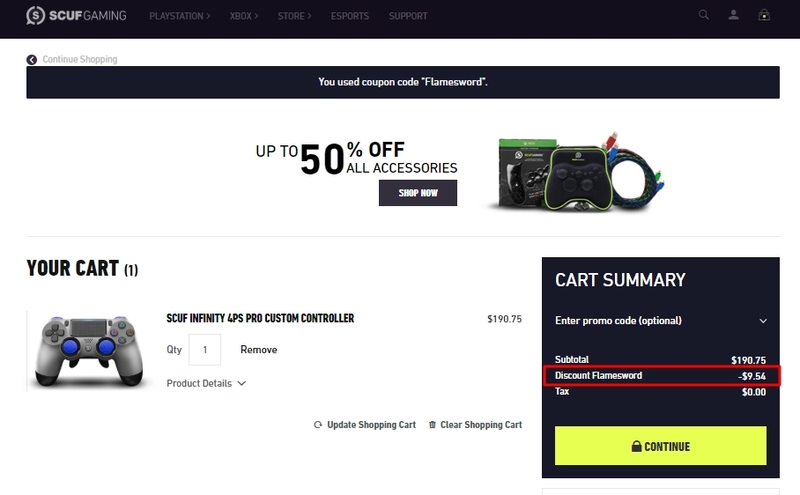 Use the coupon code Flamesword to claim your discount. Exclusions may apply to this offer. Johanna Flores This deal was verified and it is working as described. 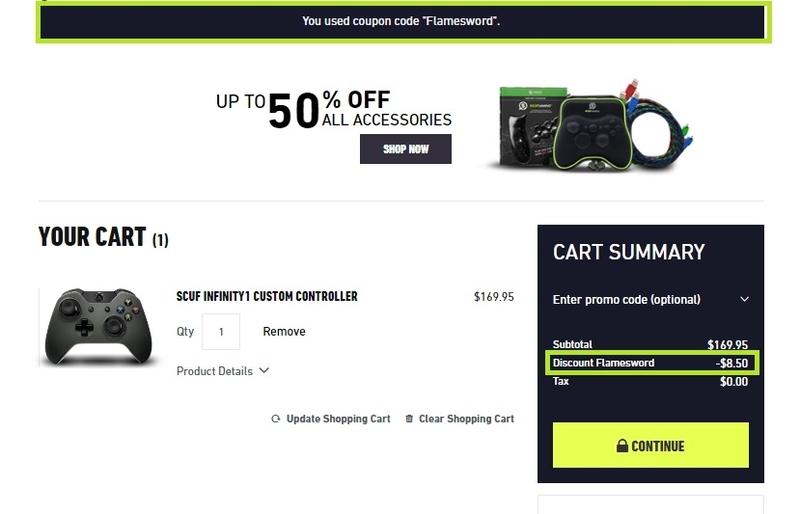 Select the items and enter the promo code <Flamesword> at checkout to get 5% off your order at Scuf Gaming. 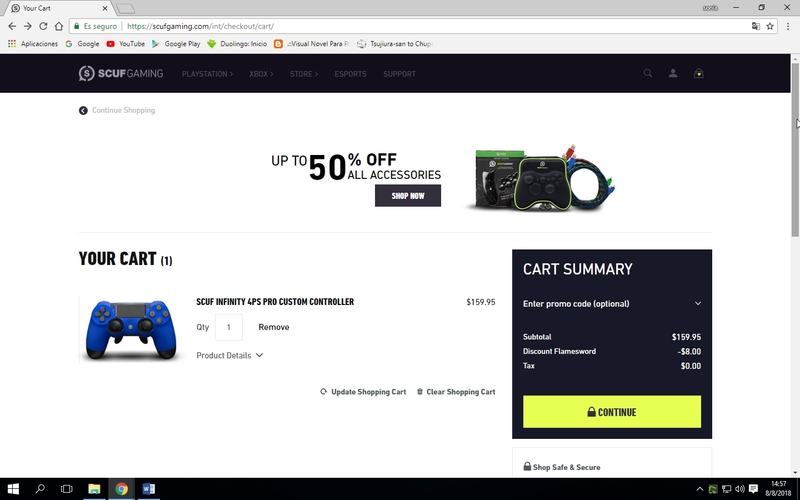 RichardTremont This great deal is working as described, go to the store, add your items to the cart, use the coupon and get 5% Off Your Order at Scuf Gaming. 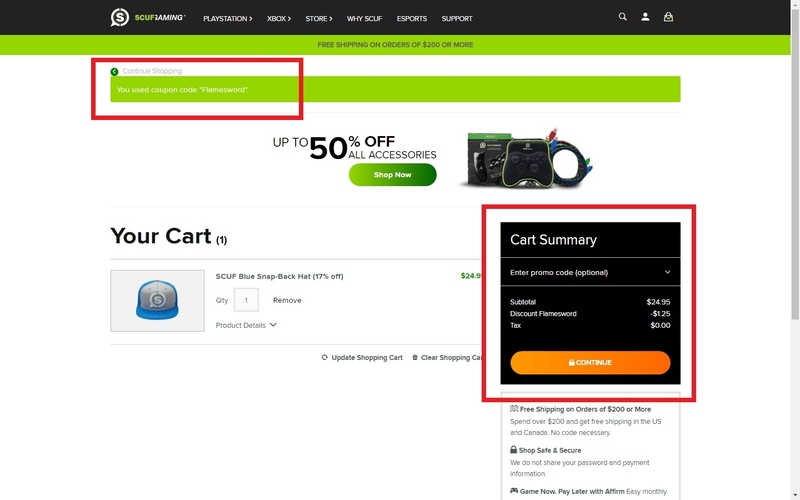 Ibraim P. Simply get into the online store, place a new order, add to the shopping cart the item(s) that you want to buy, apply the promo code during checkout and Get 5% Off Your Entire Purchase today. Offer expires soon. Some exclusions may apply. See screenshot for more details.